COLUMBUS, Ohio (WCMH) -- Ohio lawmakers are considering two competing proposals that would legalize sports betting in the Buckeye State. A bill in the Ohio House of Representatives would put the Ohio Lottery in charge of overseeing sports betting and would allow sports betting in casinos, racing, and veteran and fraternal organizations. A proposal in the Senate would limit the sports betting to casinos and racing’s and would set the Ohio Casino Control Commission as the regulating agency. Columbus attorney Kevin Braig has developed an expertise on sports betting and says legalization in Ohio is a must. “If we want to hold on to our casino industry and not see it erode then its almost mandatory that we have sports books in our casinos and racinos in Ohio,” Braig said. Last year, a U.S. Supreme Court ruling opened the door for sports betting outside of Nevada. Since then, eight states have authorized sports betting and at least 30 others are considering it. Among the states bordering Ohio, both Pennsylvania and West Virginia have already rolled out sports betting operations. Kentucky, Indiana, Michigan and New York all have proposals pending. 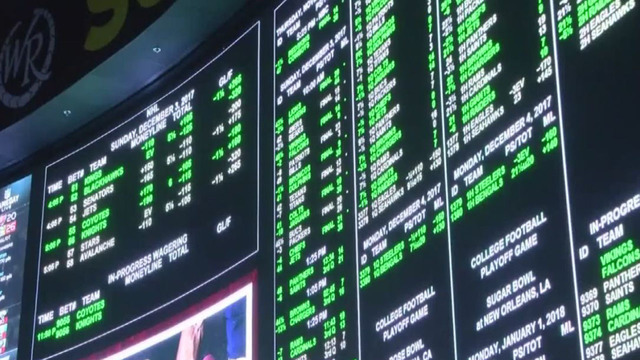 “If other states have it but Ohio doesn’t, the sports betting population definitely will drive across a state line and go to a casino that has a sports book as opposed to coming to an Ohio casino that does not have one,” Braig said. No committee hearings are scheduled yet for either proposal.